3 Bedroom 3 bath OceanBreeze condo. 5 minute walk to the beach. Master Bedroom has a king bed, guest bedroom has a queen bed, and the 3rd bedroom has bunk beds with 2 double beds with 2 twins bunkbeds above each. Completely remodeled with updates TV's, kitchen, and bathrooms! Perfect location in South Forest Beach! 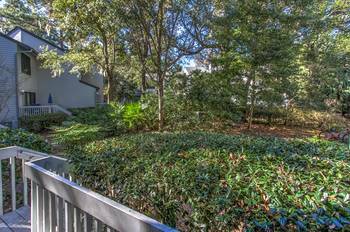 Bike paths in front of the condo will lead you all the way to Coligny Plaza! enjoy the outdoor pool and tennis courts or walk to the beach in 5 minutes! Washer and dryer included! World class beaches are only minutes away from Oceanbreeze. Wonderful three bedroom townhome to enjoy your vacation. Three bedrooms that are updated are hard to find, book the condo online or call 800-400-4113 to book your reservation today. Welcome to Hilton Head Island!